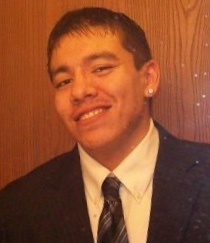 William John (Heena) Thunder Sr.
William John (Heena) Thunder, Sr., 32, of Tomah, WI, walked on on Monday, March 18, 2019. He was born on October 14, 1986, to Josiah H. Thunder, Sr., and Rosalie Gokee. Heena enjoyed hunting, fishing, playing video games, gambling, watching and playing basketball, teasing family and friends, and spending time with his children. We will lovingly remember his laughter, his kind and gentle nature, and his playful spirit. He is survived by his children: Zeke, Naomi, Eric, Jasmine, and William, Jr.; his parents; his brother Josiah H, Jr.; sisters Leah Thunder-Gajda (Eric) and Arlene Thunder (Chris Breeden); and many Ho-Chunk and Lac Courte Oreilles Ojibwe extended family relatives. Native American Church devotional services will be held tonight, Tuesday, March 19, at Blue Wing Community Building, with dinner served at 6:00pm. Native American Chirch prayer services will be held on Wednesday evening, March 20, at the Mastin Center, 241 N. Front St., Fairchild, WI, with commitment services to be held on Thursday, March 21, at 1:00pm.